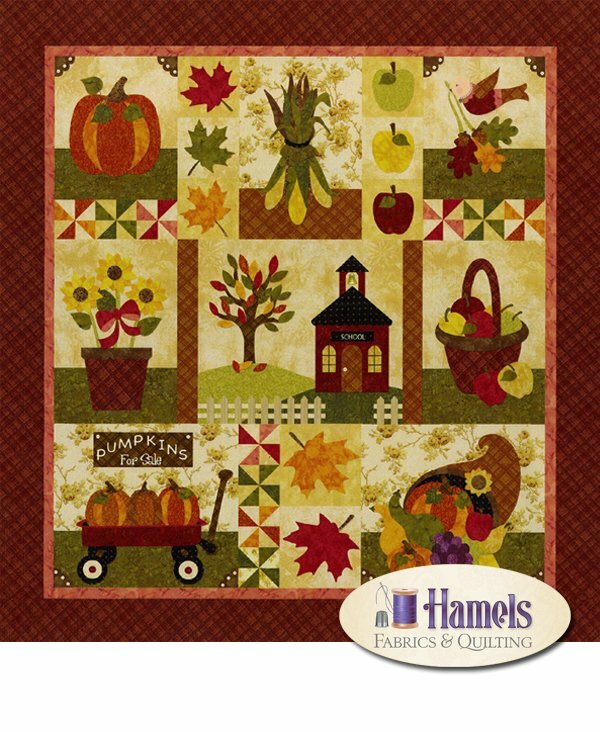 This cheerful 59 inch x 63 inch quilt celebrates the richness of Autumn with pumpkins galore, sunflowers, a cornucopia, and so much more. Pattern includes full-color block photos, a fabric selection guide, the Shabby Fabrics Applique Guide, and all instructions. The Backing consists of 3.75 meters of a coordinating cotton. Batting consists of 2.0 meters of a 100% Top Quality Cotton Batting. Fusible Web consists of 5.0 meters of a top quality fusible web.